This is the first extremely limited release from one of the most distinctive vineyard sites in our collection. 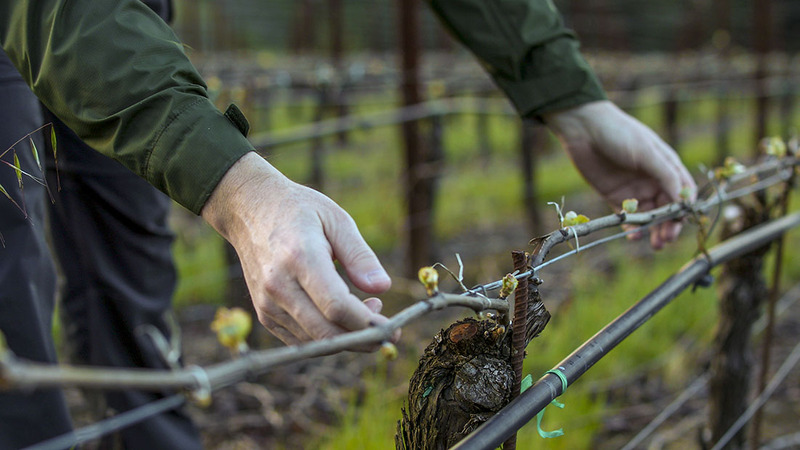 Planted at 1,000 feet elevation some four miles from the Pacific coast, the vineyard sits in the true coastal zone and overflows with all that district’s natural pine needle and redwood/evergreen complexity. Similar to our Estate Vineyard, the vines are planted to a high-density format which brings another layer of vibrancy and balance to the wine. This is not a wine of overt power and never will be – that’s not what the site is about. Instead it’s a wine that seduces with its kaleidoscopic range of fresh fruit and savory characters, its lithe mouth feel and multifaceted, layered complexity. The tone of the wine is penetrating, a little wild with echoing intensity that flows on and on. As it opens the flavors turn darker and a more brooding side emerges. This is an ‘adult’ style of Californian Pinot Noir which takes some contemplation and should develop further nuance in bottle for five to seven years. Certainly one of the wines of the vintage and fortunately production will rise in the years ahead as our knowledge of the site progresses. Brilliant dark rose color. Lovely aromatic purity: bright raspberry, sour cherry, pomegranate, darker cassis notes. Turns savory and complex: pine needle freshness, orange zest, Asian spice and fresh herbs. Crunchy fresh red and black fruits on the palate: cranberry, cherry and apple skin then darker berries. Red licorice and tangy rhubarb take hold. Supple tannins and reverberating livewire acidity to the long linear savory finish. Drink between 2013 and 2019.